• Pyramids of Giza & Sphinx. • Deir El-Bahari & Valley of Kings. • Luxor Temple & Karnak. • Horus Temple in Edfu. • Sobek & Horus in Kom Ombo. • Philae & Unfinished Obelisk. • Hurghada & the Red Sea. Upon arrival you will find Egypt Tour Packages representative for meet & assist service through the arrival formalities, then you will be transferred to you hotel by A/C car. Overnight at Cairo and start your Tour Package in Egypt. • The Egyptian Museum. Where u can see 250,000 genuine artifacts on display the largest most precious collection of Egyptian art in the world. • Then visit The Great Pyramid – Cheops, Chephren & Mykerions. Where you will see the only standing wonder for the ancient world. • Then precede to The Sphinx the mysterious monument which has human face and lion’s body. • Then continue to Khan El Khalili Bazaars. Shops in this district are legendary for fine border brassware, copper, perfumes, leather, silver, gold, antiques. Breakfast, Transfer to Cairo airport for domestic flight to Aswan. Arrival, meet & assist by our representatives and transfer to the Hotel. • The High Dam which was completed in 1964. From here you can gaze across Lake Nasser. • The Philae Temple Sail by felucca (Egyptian sailboat) to the island of Agilkia. Visit the temple that was removed from their original island of Philae which lies submerged most of the year by the waters of Lake Nasser. The main Temple of Isis and its monuments were built between the 26th-dynasty and the Roman period. Breakfast on board. Visit The Temple of Horus in Edfu. Cross the lock. Sail to Luxor, Afternoon tea, Dinner on board & Galabya party. • The West Bank of Luxor where you will enjoy visiting Deir El-Bahari and Valley of Kings which is The New Kingdom (1549–1069 BC) Necropolis. • Then East Bank visiting Luxor Temple & Karnak Temple Complex which was the center of the ancient Egyptian religions in the new Kingdom. Breakfast, transfer to Hurghada by A/C car. Arrival, meet and assist by our representatives. Transfer to your hotel. Breakfast, Transfer to take ferry boat to Sharm, arrive Sharm, transfer by bus to Dahab, Arrive Dahab, meet and assist by our representative transfer to the hotel. Breakfast, transfer to Cairo by A/C car. Arrive Cairo, meet and assist by our representative. Transfer to the hotel. • The step Pyramid of Sakkara followed by a visit to The Pyramids of Unas & Oser-Kaf the Mastaba. Tomb of Mereruka, Ti & Pta-Hotep. • Then visit Memphis the ancient capital of The Egyptian Old Kingdom (2686–2181 BC). • Then continue to Old Cairo, visit The Church of Abu-Sergah and St. Barbara, the Hanging Church, and we will also visit The Old Jewish Synagogue Ben Ezra Synagogue. • 4 Nights hotel accommodation in Cairo on B&B basis. • 3 Nights on Cruise board (Aswan & Luxor) F&B – (sightseeing included). • 1 Night hotel accommodation in Aswan on B&B basis. • 1 Night hotel accommodation in Luxor on B&B basis. • 5 Nights hotel accommodation in Hurghada on H.B basis. • 4 Nights hotel accommodation in Dahab on B&B basis. • 1 Night on sleeper train board, dinner and breakfast included. • All transfers in Cairo, Luxor, Aswan, Hurghada and Dahab. • 1 Full day tour in Cairo visiting the Egyptian Museum, Great Pyramids, Sphinx & Khan El Khalili. • 1 Full day tour in Cairo visiting the Sakkara & Memphis. 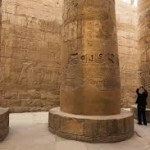 • 1 Full day tour in Luxor visiting East Bank. • Free Camel ride at the Pyramids area. • All your tours and excursions are with A/C Car. • Ferry boat ticket Hurghada / Sharm. • Transfer by A/C Car: Luxor / Hurghada – Sharm / Dahab – Dahab / Cairo. • Visa Entry for Egypt. • Any other items not mentioned. We hope that you will enjoy your Tour Package in Egypt.